For about a day or two here, we've had off and on rainstorms which have really started to put a damper on things. Not to mention the rain puts me and Shiner behind a little bit. If your dog is anything like mine, they probably don't really like the rain. Shiner hates getting wet, but will go out to potty if necessary. She also gets a little nervous if thunder and lightning is involved, but she's not too bad about that part. Mostly, she just wants to be in the same room with everyone. So, if you're experiencing boring rainy days where you live here are a few ideas to help with the boredom. Don't be sad! Think of rainy days as a time you can spend some extra special moments with your furry pal, possibly doing activities that the two of you might not usually experience together. Since going outside is probably out of the question on most rainy days, try playing some indoor games with your dog. One of Shiner's favorite indoor games to play is tug of war. She is a very strong dog and usually wins. There are lots of great toys for playing tug of war with. 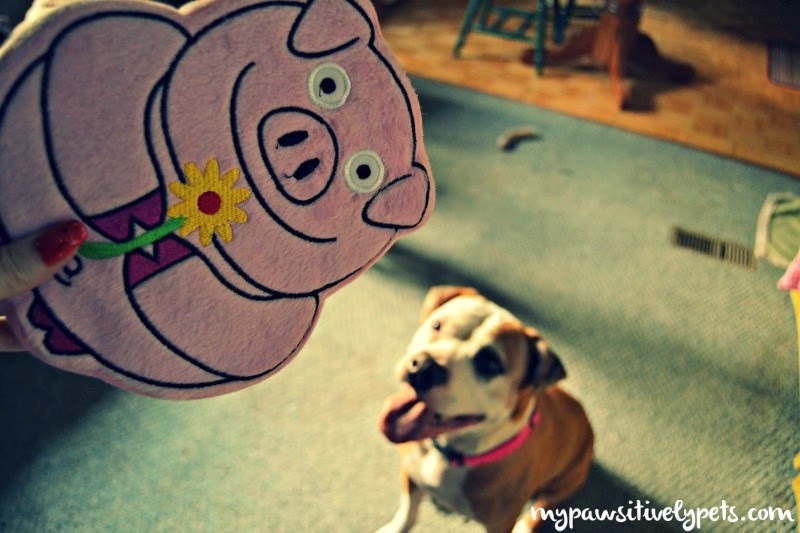 We recently got to try out a PrideBites dog toy and it's perfect for tug of war. That's what it's made for anyways. Also, for anyone interested in purchasing a PrideBites dog toy with your dog just use the code PAWSITIVELY at checkout to save 10%. 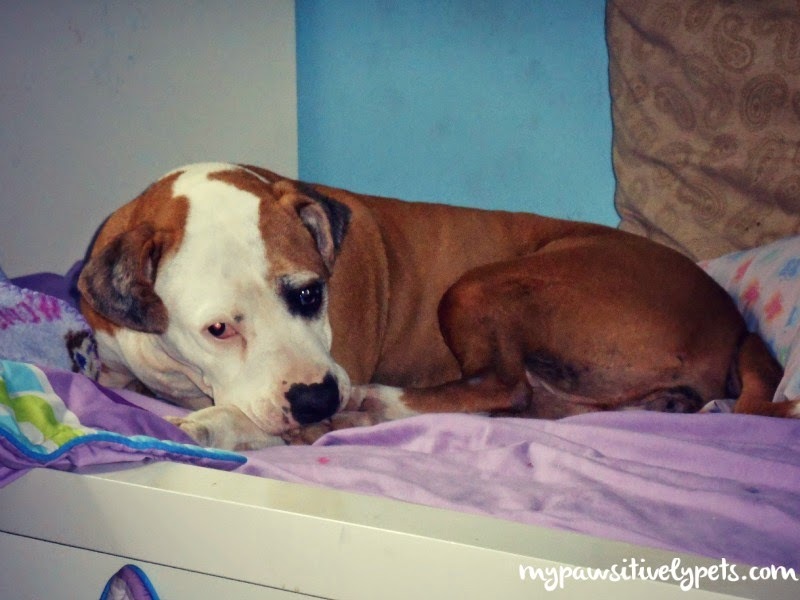 You can also try some fun dog puzzle games to keep your dog occupied for a little while. Shiner has a puzzle toy and is very food motivated so she loves it. There's also fetch, catch, hide-the-treat and find it... be creative and have fun! Subscribe to a monthly pet subscription box and save it for a rainy day when it comes in the mail. It will be like Christmas practically! 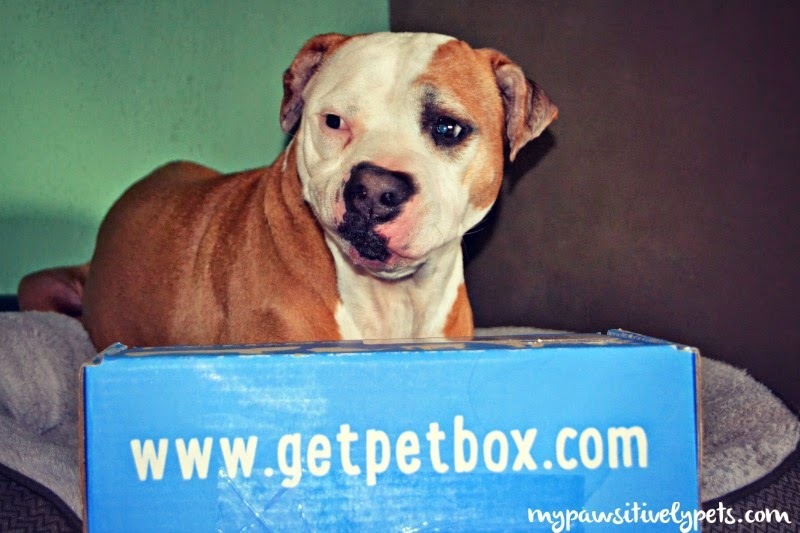 We receive PetBox each month and love it. There are lots of things to keep you and your dog occupied. This is sure to put a smile on both of your faces and take away those rainy day blues. Can we open this already? Of course, I realize that waiting to open a PetBox could be difficult... I know I can hardly wait to open ours when it arrives in the mail. 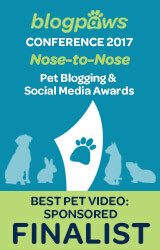 You can also use the special code PAWSITIVELY at checkout to save 10% on your PetBox order. 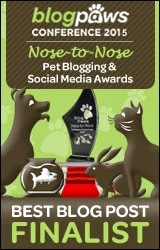 Visit www.getpetbox.com to order. I don't know what is is about rainy days, but they are just perfect for napping. And who doesn't like a good nap? I know both Shiner and I enjoy them. Cuddle up under the covers with your dog and get some rest while the rain sprinkles on your rooftop. And just maybe, when the two of you wake up the rainy day blues will be gone! Come on - let's take a nap! 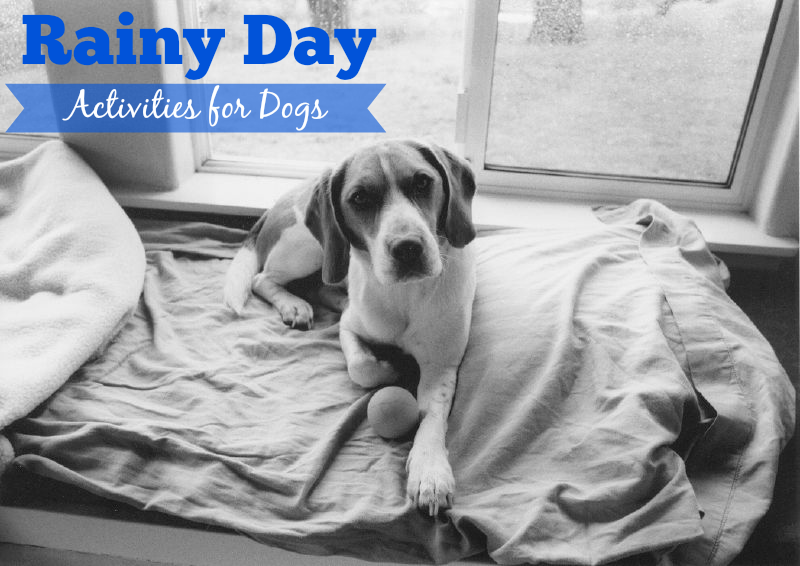 Share with us your favorite rainy day activities that you enjoy with your dog in the comments! We have purrfected that nap thing but we would love to play some before those naps! Great ideas! I tried to make my cats homemade cat treats once. It didn't go over so well, LOL. These are some great ideas! There should be no bored dogs out there. Great ideas, we definitely need some new ideas! Sometimes mom puts away a few of our toys and pulls them out when we look bored! I think that nap thing takes top spot around here lately. Fortunately, we don't have many rainy days until October. Then it's rain, rain, rain until next July. Besides the nap thingee, my favorite indoor game is 'find it'! Training is another great idea! Hide and seek with a few dog treats is a favorite in our house. 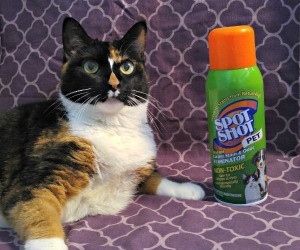 Harley is pretty good at it so the spots can get very creative. I love watching him explore the perimeter of a room searching and sniffing! We have never made any dog treats ourselves but I would love to try it (and I'm sure the boys would be willing to sample). I am going to check out some of the recipes you posted! Those are all great rainy day tips. Bentley holds his pee as long as possible during rainstorms. We try to hurry out in between the storms. I bet with his new harness he is getting some great exercise! Bad weather here too right now. Great ideas! Our dogs all like the rain, and I have a hard time keeping them indoors out of it! So we usually break out some toys and treat games. We haven't really had many rainy days lately though. I even set up Luke's tunnel on the porch one time when it was rainy and they had a ball in it! Playing in the rain isn't so bad if your dog likes it! Sweet ideas. We usually work on some nose games or hide and seek. My dog never tires of those. Napping as you mentioned also ranks high on our list. I giggle at the fact that my dog loves the hose so much she cries inside when it's turned on - but when it's raining she wants nothing to do with it. Rainy day activities-for me it is cleaning up wet paw prints! I try to keep the dogs entertained, using many of the ideas you suggested. Cleaning is probably another great rainy day activity! I like these rainy day activities! My dog and I would just sit around watching tv because we couldn't exactly go outside and play at all. He normally gets depressed when that happens, but I try to cheer him up with toys. I want to try the homemade treat thing next, I mean I'm no excellent baker, but I can try if it is for my dog.